Specially selected artisan chilli jams and chutneys to go perfectly with your cheeseboard. Christmas Gift Favourite. 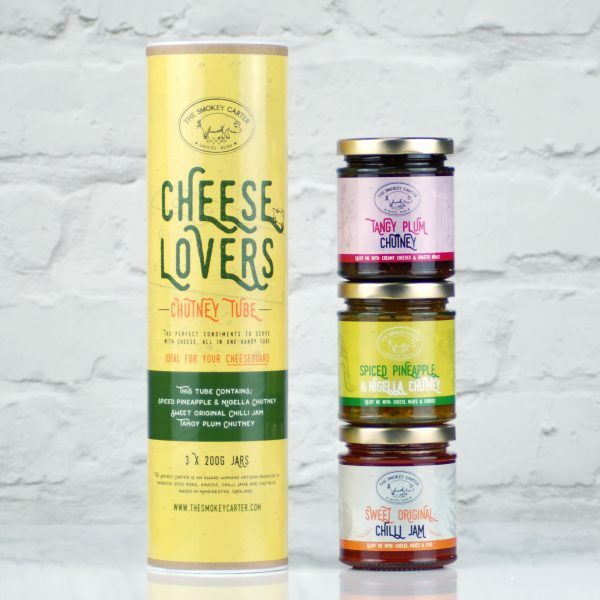 Our Cheese Lovers Tube features three handmade artisan chutneys and jams from The Smokey Carter. The perfect pairing to cheese and biscuits, all in one neat little tube. 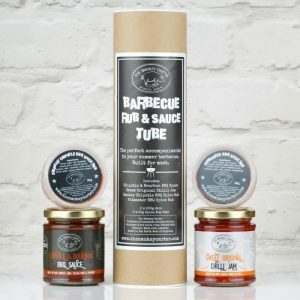 This tube contains the following 3 jars..
Makes the perfect Christmas gift. 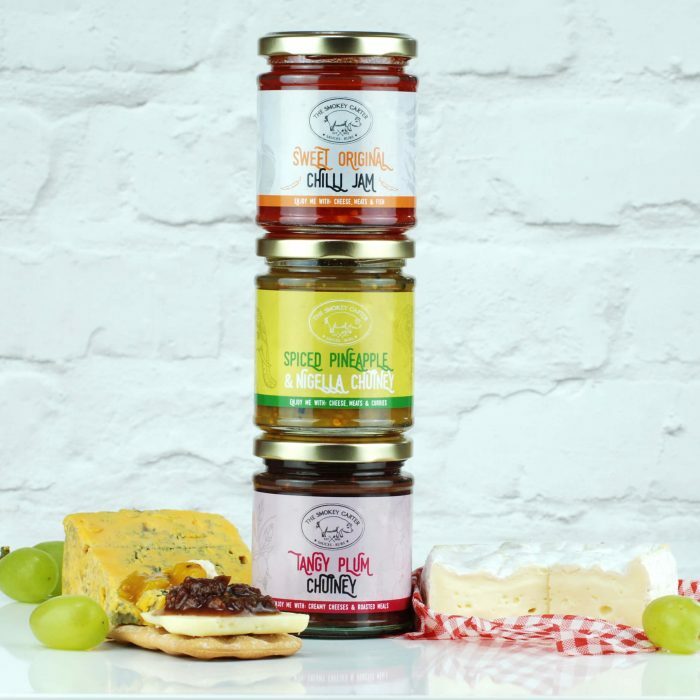 Also make a fabulous accompaniment to cold cuts, ploughman, savoury pies, meat and fish. Can be used in wraps and sandwiches too. 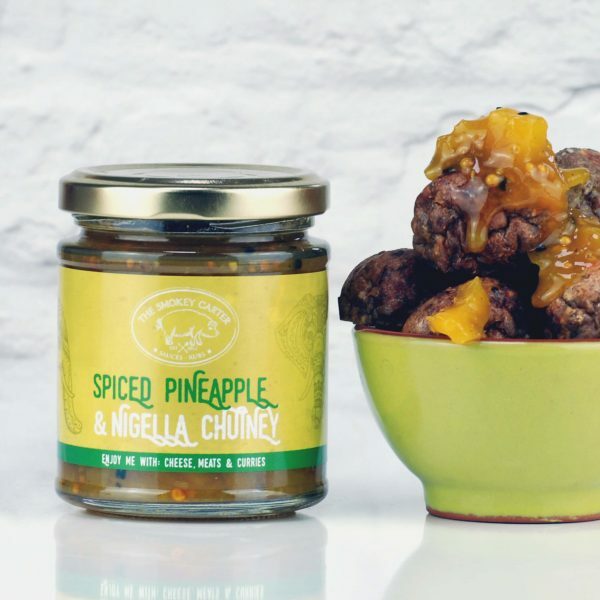 Spiced Pineapple and Nigella Chutney – This fruity chutney is lovely and fresh due to the high content of pineapple and mango. A very mild heat due to a little chilli. Nigella seeds give a lovely aromatic note. 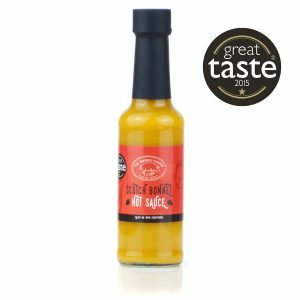 So versatile; its amazing with cheese but you can also use it like you would a mango chutney; enjoy it with; curry, dahl, lamb meatballs, wraps and kebabs. Ingredients: Pineapple (50%), sugar, onion, mango pulp (mango, sugar, water, acidity regulator (citric acid)), cider vinegar, garlic, mustard seed, ginger, Scotch Bonnet chilli, spices, salt, nigella seeds (1%), xanthan gum. Tangy Plum Chutney – A rich spiced plum chutney. Not spicy, and not too sweet either, its more tangy. 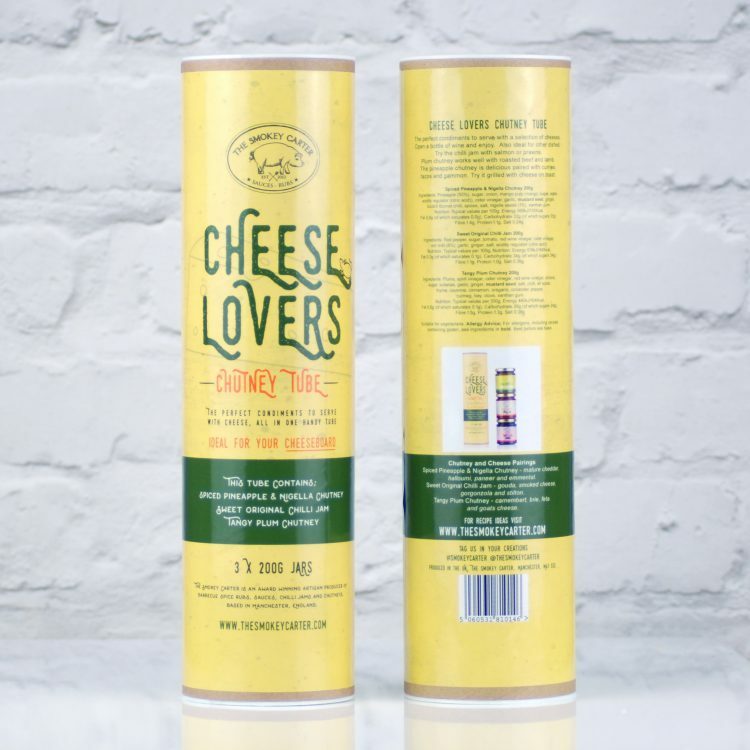 Fabulous with soft creamy white cheeses like brie, boursin and goats cheese. Also lovely serviced with; roasted meats like turkey, and ham. 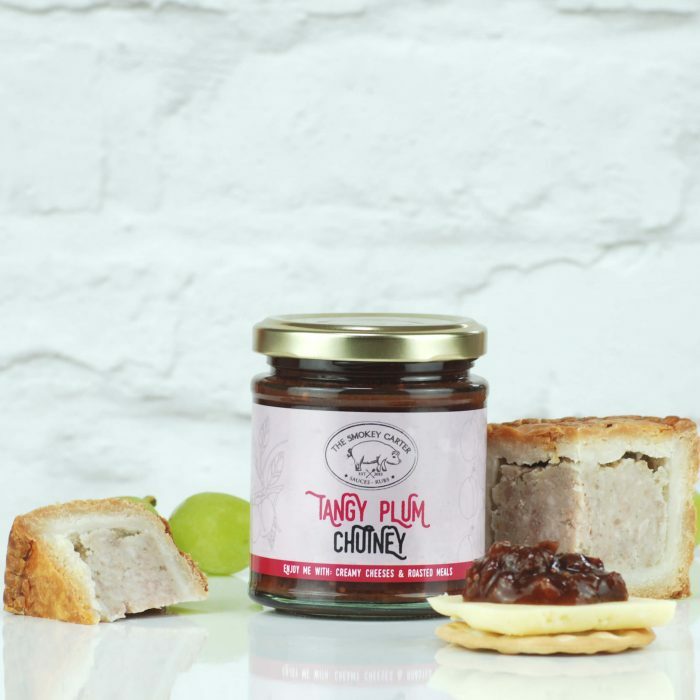 Ingredients: Plums, spirit vinegar, cider vinegar, red wine vinegar, onions, sugar, sultanas, garlic, ginger, mustard seed, salt, chilli, all spice, thyme, cayenne, cinnamon, oregano, coriander, pepper, nutmeg, bay, clove, xanthan gum. 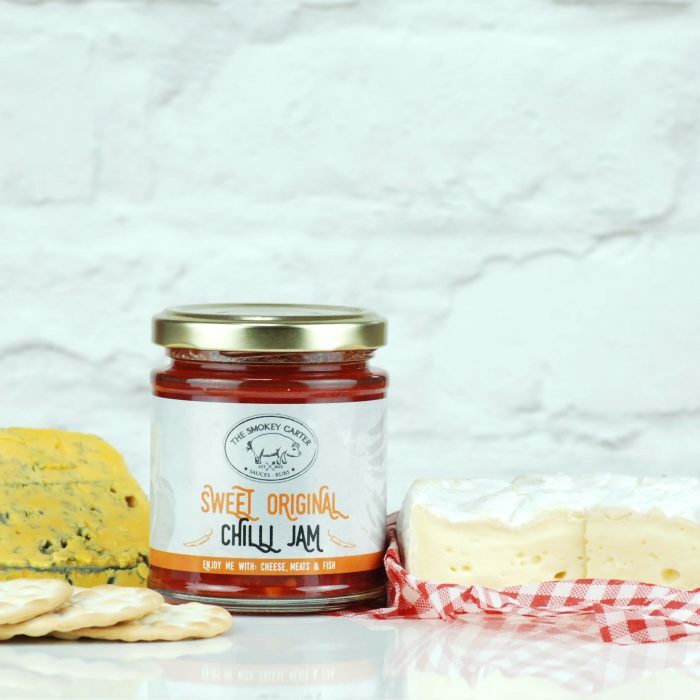 Sweet Original Chilli Jam – A great accompaniment to any dish. 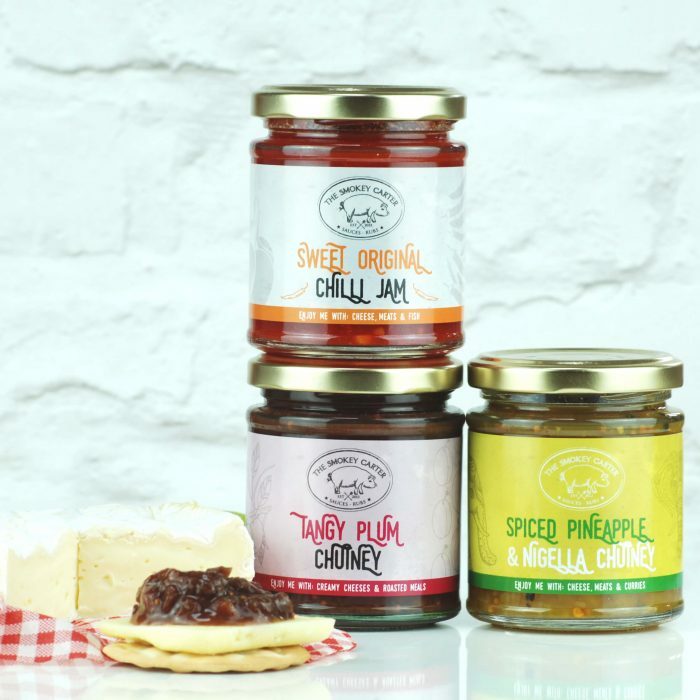 Not too over powering in terms of heat, it’s a lovely sweet jam, ‘safe’ for the non-chilli eater. Also popular with children. Enjoy with your cheeseboard and hot baked Camembert. Also amazing with chilli chicken, cold cuts, streamed salmon and stir fry prawns. 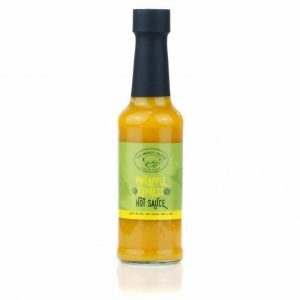 Ingredients: Red pepper, sugar, tomato, red wine vinegar, cider vinegar, red chilli (6%), garlic, ginger, salt, acidity regulator (citric acid).